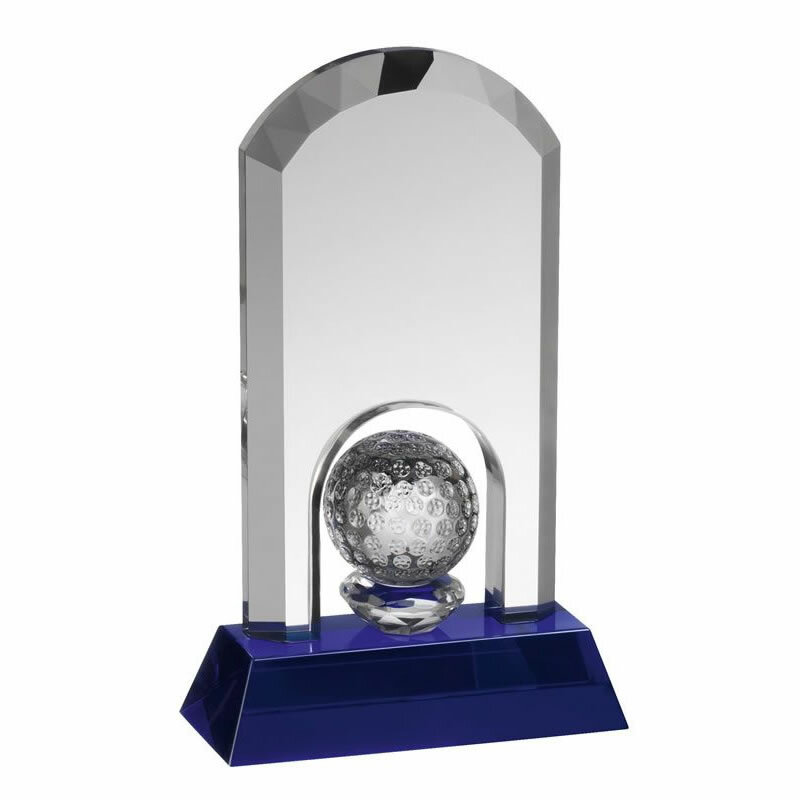 These stunning crystal golf trophies are suitable to reward a wide range of golfing achievements and occasions, including as both men's and ladies golf prizes. They comprise a clear glass plaque with thick bevelled edges and an elegant arched top. At the foot is a cut-out arch that houses an optical crystal golf ball and these awards are set on a blue glass bevelled base. They can be engraved - for free - on both the body and the base. These glass golf awards are supplied in a foam-lined presentation box.